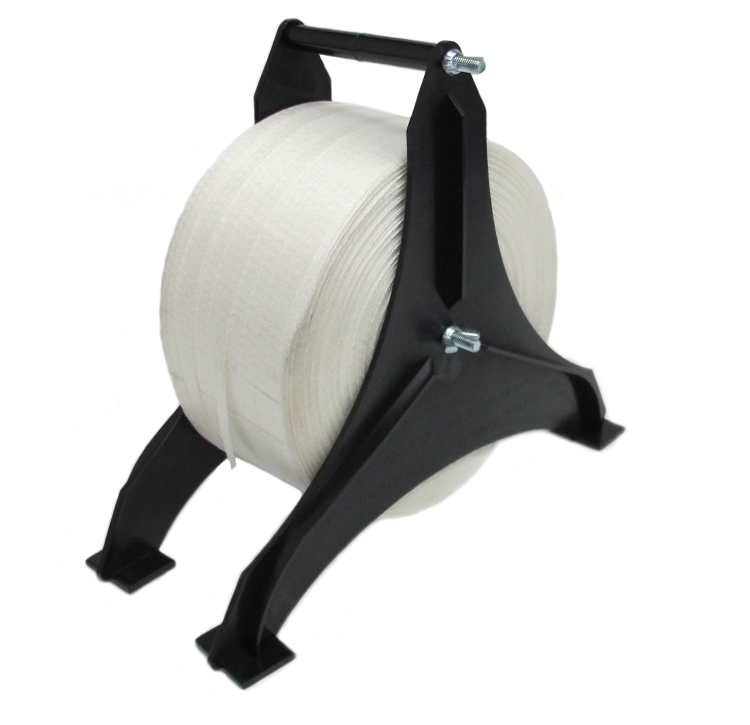 Strapping dispensers are handy whether you are planning on using a large amount of woven cord strapping or a small amount. The sturdy, plastic strapping dispenser reliably dispenses polyester strap so it stays flat and easily within reach. Each dispenser has four, non-skid feet with padded bottoms that stay in place while you apply the strapping. The dispenser won't tip over or get pulled under your project when you're working - it'll stay right where you put it until you're ready to move it with the convenient carrying handle. Keeps strapping off the ground. No more rolling straps! Nice, light, easy to use. The dispenser has a nice wide base with rubber feet. It is very stable when in use.